CCA attracts promising students from around the world who want to attend one of the best art and design schools in the U.S. We educate talented, visionary students to become versatile makers with inventive solutions to advance culture and society. Guided by President Stephen Beal, our private nonprofit college offers a rich curriculum of 22 undergraduate and 11 graduate programs, and is noted for its curricular interdisciplinarity, breadth of programs, and commitment to social responsibility. Spread across two distinct campuses in the Bay Area, students experience immersive, interdisciplinary exposure that emphasizes theory and practice, helping them to gain the creative confidence and entrepreneurial skills needed for contemporary creative practice. Graduates are highly sought after by companies such as Pixar/Disney, Apple, Intel, Facebook, Gensler, Google, IDEO, Autodesk, Mattel, and Nike. Many alumni have launched their own successful businesses, and alumni work is featured in major collections such as the Los Angeles County Museum of Art, MoMA New York, Guggenheim Museum, Whitney Museum, SFMOMA, The National Gallery of Art in Washington D.C., The Library of Congress, and Tate Modern in London. Founded in 1907 by Frederick Meyer, CCA is currently expanding its San Francisco campus with new student housing and a new building by award-winning architecture firm Studio Gang. Stephen Beal became president of California College of the Arts in May 2008, having served as provost at the college since 1997. He’s a champion of creativity and recognizes that it’s one of the skills most in demand by today’s—and tomorrow’s—workplace. As president, Beal has developed and fine-tuned an academic vision for the college, one in which students and alumni are prepared to bring highly developed problem-solving skills, an entrepreneurial spirit, and a desire to make a difference to their communities and careers. During his decades-long career at CCA, Beal has played a significant role in the expansion of the college's programs and facilities and the implementation of key academic initiatives, all of which contributed to an overall enrollment increase of more than 50% since he arrived at the college. Important improvements to CCA’s existing buildings and development of new facilities during Beal’s tenure will soon include the San Francisco campus expansion, which will realize key visions established by Beal: create a better experience for students, integrate craft with innovation, inspire increased community engagement, and generate material and programmatic intersections. Stephen Beal working in his art studio. 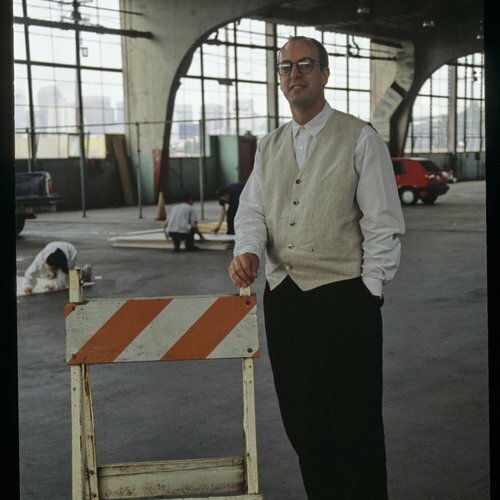 Beal holds an MFA from the School of the Art Institute of Chicago (SAIC), where he was vice president of academic planning and associate vice president of academic affairs before coming to CCA. He was the lead academic administrator of SAIC's building and facilities projects, which included the acquisition of new property and major renovations of existing facilities. Prior to that he was chair of SAIC's graduate division, chair of its post-baccalaureate program, and a member of the painting faculty. In addition to his prolific academic career, Beal is a practicing artist whose work has been exhibited nationally, including at renowned galleries such as George Lawson in Los Angeles and New Museum Los Gatos. Beal is also on the board of trustees at Yerba Buena Center for the Arts in San Francisco, Creative Growth Art Center in Oakland, and San Francisco Asian Contemporary Art and Design Consortium. He also serves on advisory boards of American Film Institute in Los Angeles, Girls Inc in Alameda County, and Asian Art Museum in San Francisco. He and his wife, Dee Hoover, reside in the East Bay. They have two children. The President's Sustainability Steering Group (PSSG) was established in 2009 to identify ways to showcase the college’s ongoing commitment to sustainability and ensure the college's leadership role upholds specific values that govern an eco-conscious approach to learning. Since its formation, the PSSG has significantly heightened the college's overall commitment to sustainability. The PSSG, which consists of faculty, student, staff, and trustee representation, developed the following values that represent the college's core principles as they pertain to sustainability. These basic tenets are drawn upon frequently to ensure all future growth—curricular, technological, architectural—takes into consideration these best-practice guidelines. CCA President Stephen Beal and Chair of the Board of Trustees Art Gensler attending the 2017 CCA Gala honoring David Kelley last May. The Board of Trustees works to ensure that CCA pursues its mission as defined in its governing document. The board’s responsibilities include giving fit strategic direction to CCA; setting overall policy; helping define goals, set targets, and evaluate performance; ensuring the financial stability of CCA; and safeguarding the good name and values of CCA. CCA believes in fostering the artistic and academic achievements of all faculty, and we work to ensure a learning environment defined by its evolving, contemporary curriculum and powerfully effective pedagogy. Read about CCA’s assessment and accreditation. Read more about our Faculty Governance and Union. We understand the role of artists, designers, architects, and writers in solving cultural, environmental, and economic problems because we live it everyday. Speaker introductions during the 2017 Scholarship Dinner Awards Ceremony. CCA is creating a new campus experience by expanding its current San Francisco campus to include state-of-the art teaching and learning facilities and new student housing for up to 1,000 students. Together, the academic building and new housing facilities will be a groundbreaking model of sustainable construction and practice at a college of art and design. The expansion also signals the first time in two decades that all of the college’s academic programs will be united in one location. The campus will become a porous environment that enables physical and visual linkages across buildings, create new adjacencies and interdisciplinary interactions, and deliver on CCA’s versatile, multi-disciplinary mission like never before. In 2006, CCA embarked on a journey to define its future with a singular goal in mind—enriching and enhancing the student experience. A series of intensive research and reflection workshops, visioning sessions, and countless meetings that engaged all facets of the CCA community led to the development of a strategic plan that aimed to dream big, cultivate diversity, foster excellence, connect communities, and lead responsibly. The result of this extraordinary work is today’s shared vision and action plan to expand our San Francisco campus. The designs for CCA’s campus expansion in San Francisco reflect a model of environmental sustainability that connects our community in groundbreaking ways and serves as an evolving platform for learning. They also show a connection to CCA’s long and rich history, as architects drew inspiration from materials used on the Oakland campus, its connection to the outdoors, its greenery, and its sense of community. A state-of-the-art design by renowned architectural firm Studio Gang will extend the existing building into a new campus yard framed by artmaking. The ground level will serve as a hub of indoor/outdoor maker-spaces. Large windows will give visibility into the wide range of making that happens at CCA. A second level will offer open-air classrooms and additional room for artmaking and informal social gatherings—all visually and physically connected to the level below by a robust terraced landscape. [Left to right] One of the architects of the project, Trustee Simon Blattner, President Stephen Beal, Trustee Steve Oliver at the 75 Arkansas student housing groundbreaking in 2017. Just two blocks away at 75 Arkansas Street, the college has already opened Blattner Hall, a new housing facility featuring 200 apartment-style units for CCA graduate and continuing students, thanks to the generosity of CCA Trustee Simon Blattner. The apartments boast many modern amenities, including a living room and full kitchen in each suite, as well as adjoining courtyards and shared areas for community gathering. At 188 Hooper Street, another new student housing facility designed by Stanley Saitowitz | Natoma Architects, will become home to 500 undergraduate students starting in fall 2020. Its ground level is accentuated by floor-to-ceiling windows and a dining facility for the entire CCA community and the general public, which activates the streetscape. Expect abundant outdoor spaces, interconnected courtyards, and more pedestrian-friendly sidewalks and crosswalks. California College of the Arts educates students to shape culture and society through the practice and critical study of art, architecture, design, and writing. Benefitting from its San Francisco Bay Area location, the college prepares students for lifelong creative work by cultivating innovation, community engagement, and social and environmental responsibility. As an educational and cultural institution, CCA believes in fostering the artistic and academic excellence of our students and faculty. A central theme of CCA's five-year strategic plan is to “cultivate diversity” by accomplishing the following three goals through a series of initiatives. As a college of art and design, CCA has an ethical responsibility to shape a culture that’s environmentally responsible. Our students are the people who will be creating the objects, environments, and experiences of the future. We actively work toward sustainability in design, construction, operations, and curriculum. To catalyze the learning opportunities inherent in our new San Francisco campus, CCA will expand and enrich its sustainability curriculum to involve all academic programs, and the campus itself will serve as a laboratory for sustainable practice, where makers can experiment and innovate. Learning will happen everywhere and will be visible to all. 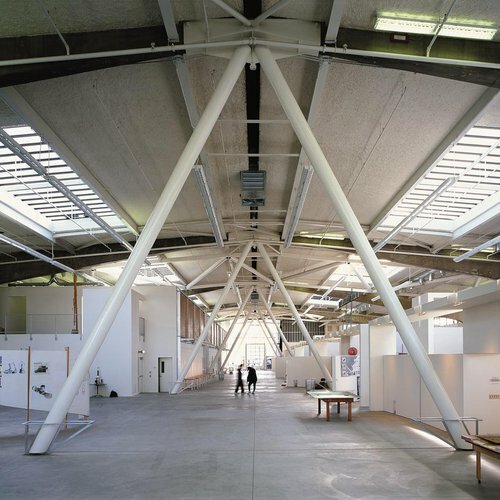 Since its opening in 1999, CCA’s San Francisco campus has been a paradigm of sustainability, and in 2001 it received a COTE Top Ten Green Building designation. Our intention is for CCA’s new, reconfigured campus to function at an even higher level of sustainability by serving as a learning center with its sustainability performance visible and understandable to the students, faculty, staff, and others who will use it. Studio Gang and the college are working with environmental experts from the Rocky Mountain Institute and Atelier Ten to help achieve these goals. Through coursework rooted in the many facets of a studio practice, a rigorous general education curriculum, and enriching co-curricular experiences, students prepare for a lifetime of creating work that matters. Our learning outcomes ensure graduates demonstrate the perceptual acuity, conceptual understanding, and technical facility sufficient for them to begin work on a professional level. We’re required to provide current and prospective students with an overview of information, including general information about the college, financial aid, public safety, and copyright infringement. 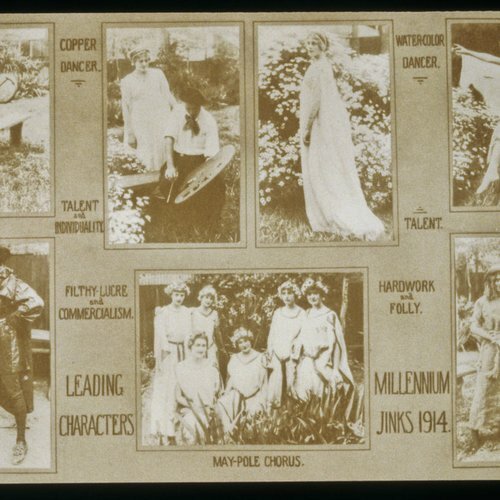 CCA was founded in 1907 by Frederick Meyer to provide an education for artists and designers that would integrate both theory and practice in the arts. Meyer, a cabinetmaker in his native Germany, was involved with the Arts and Crafts movement and immigrated to San Francisco in 1902. 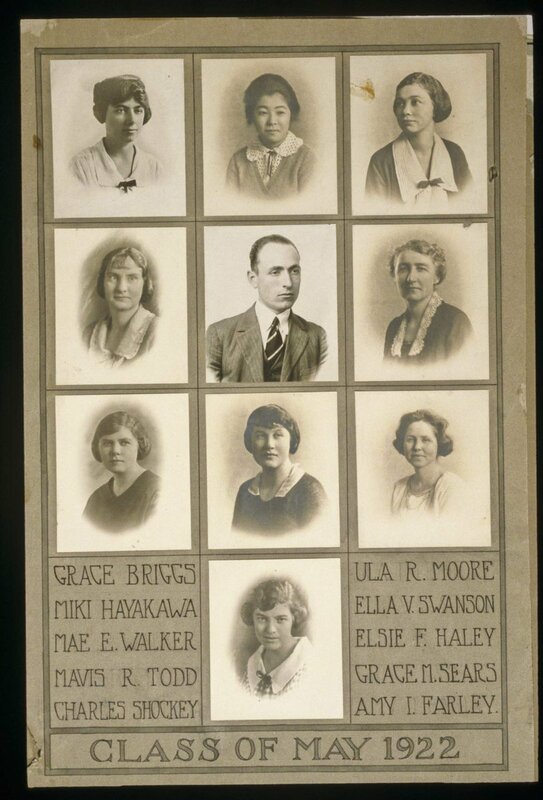 Here, he established a cabinet shop and taught at the Mark Hopkins Institute of Art. Shortly after the 1906 earthquake and fire destroyed both his shop and the institute, Meyer publicly articulated his dream of a school that would fuse the practical and ideal goals of the artist. 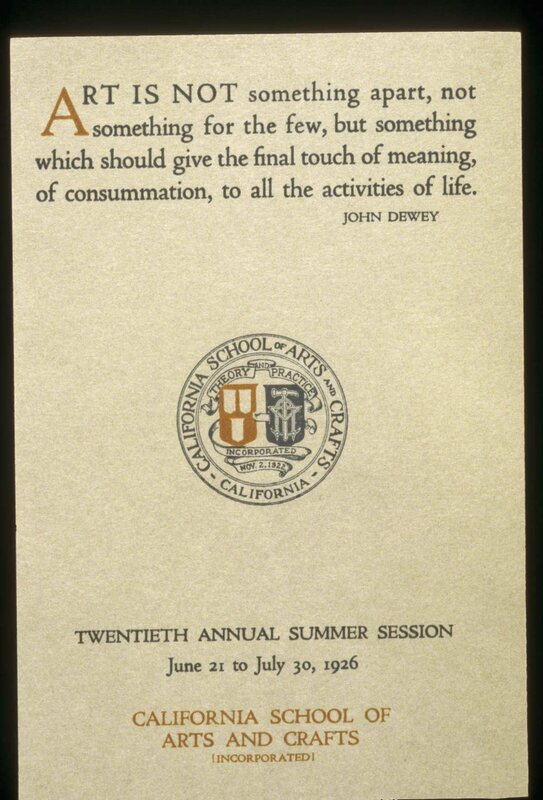 Meyer founded the School of the California Guild of Arts and Crafts in Berkeley with $45 in cash, 43 students, three classrooms, and three teachers. 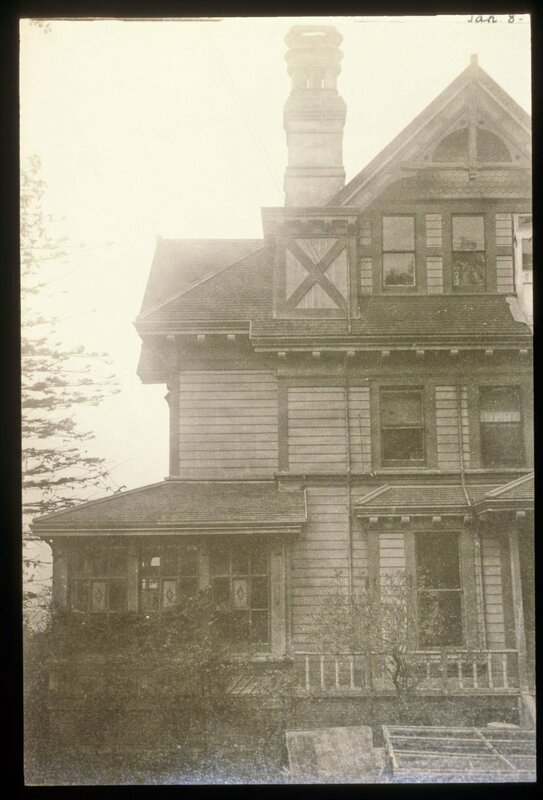 In 1922, he bought the four-acre James Treadwell estate at Broadway and College Avenue in Oakland. The Oakland campus witnessed much new construction after World War II, and the college established a presence in San Francisco starting in the 1980s, using leased space for its architecture and design programs; the tremendous growth of those departments inspired the establishment in 1996 of a permanent campus in the Potrero Hill neighborhood, which continues to grow. The Arts and Crafts movement originated in Europe during the late 19th century as a response to the industrial aesthetics of the machine age. 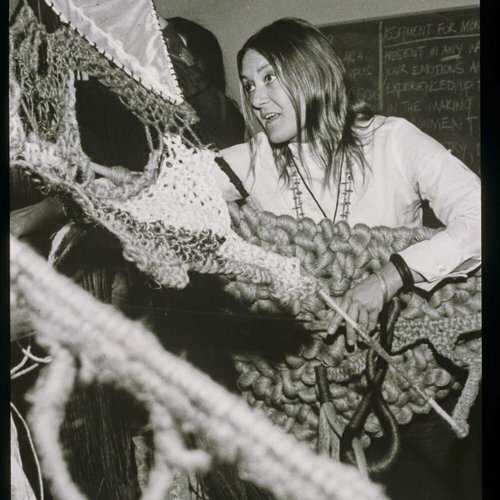 Followers of the movement advocated an integrated approach to art, design, and craft. Meyer’s Arts and Crafts-inspired vision continues to present day CCA. Throughout its 100-year-plus history, CCA has continued to add undergraduate and graduate programs in the core disciplines of fine art, design, architecture, and humanities and sciences. The open layout of each campus positions students in proximity to other media, providing myriad opportunities to generate hybrid fields of study and new ways of making through creative adjacencies, and the curriculum explores the full spectrum of theory, practice, and creation. CCA has always engaged art and design to impact larger societal issues and facilitated opportunities for students to make powerful contributions to the social good. The Center for Art and Public Life opened in 1998 on the Oakland campus as a specific response to the need for community-based arts programming, and it continues to expand and enhance its activities. 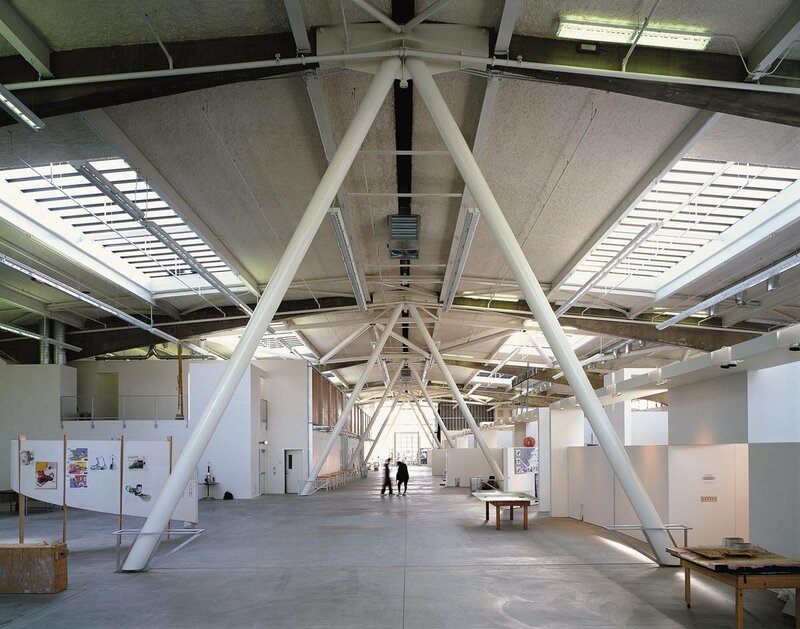 That same year, the college established the CCA Wattis Institute for Contemporary Arts on the San Francisco campus as a forum for the discussion and presentation of leading-edge art and culture. CCA’s alumni are agents of change. The accomplishments of our recent alumni are varied and far-reaching—creating characters for animated Pixar films, exhibiting work at the Cannes and Sundance film festivals, creating an Oscar-winning documentary film, and using design strategy to improve healthcare in America, among many other stories of using art and design to change the world. 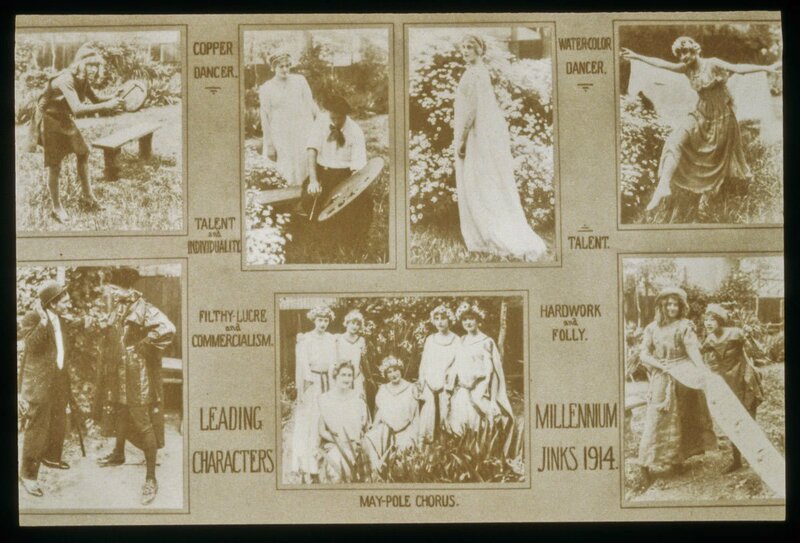 CCA History: Printed yearbook materials from 1914. 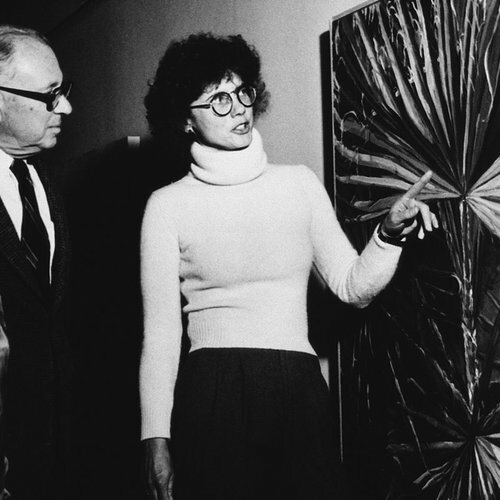 CCA History: Fine arts Exhibition during the 60-70's. 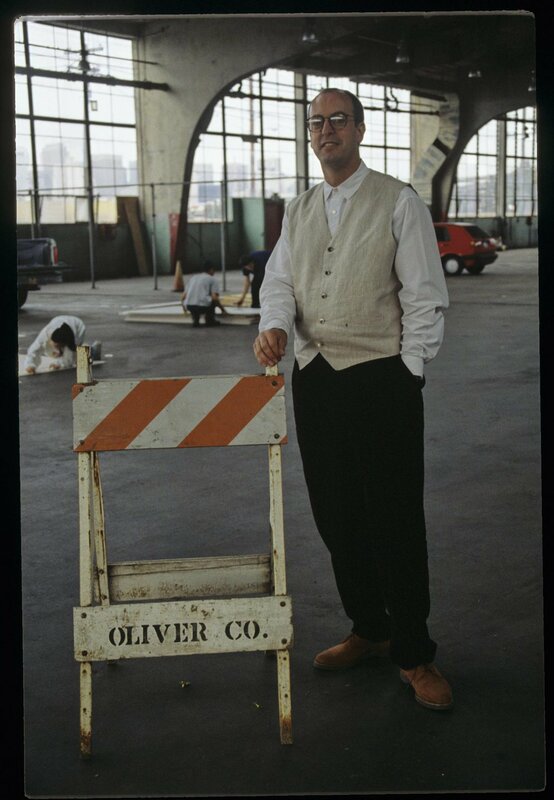 CCA History: David Meckel standing in the early stages of the Historical SF Campus building, originally an old greyhound bus station. CCA History: Early stages of the historical San Francisco campus main building. 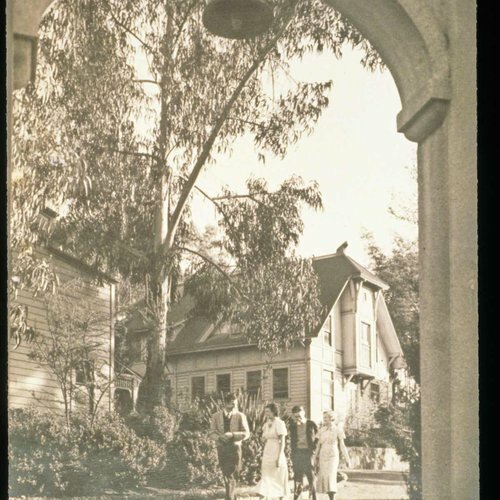 CCA History: View of the Oakland campus gardens through one of the gates. 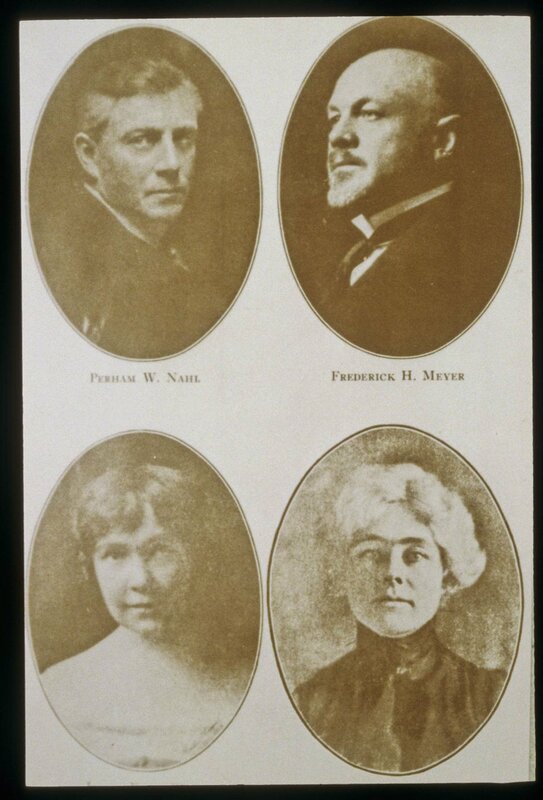 CCA History: Old portraits of founders Perham W. Nahl and Frederick H. Meyer, plus some additional graduates. 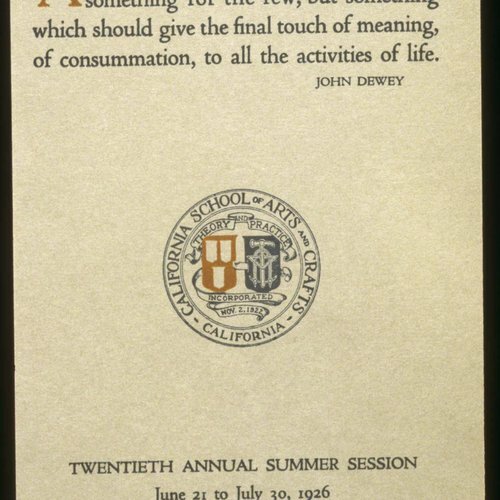 CCA History: Printed pamphlet for a graduation. 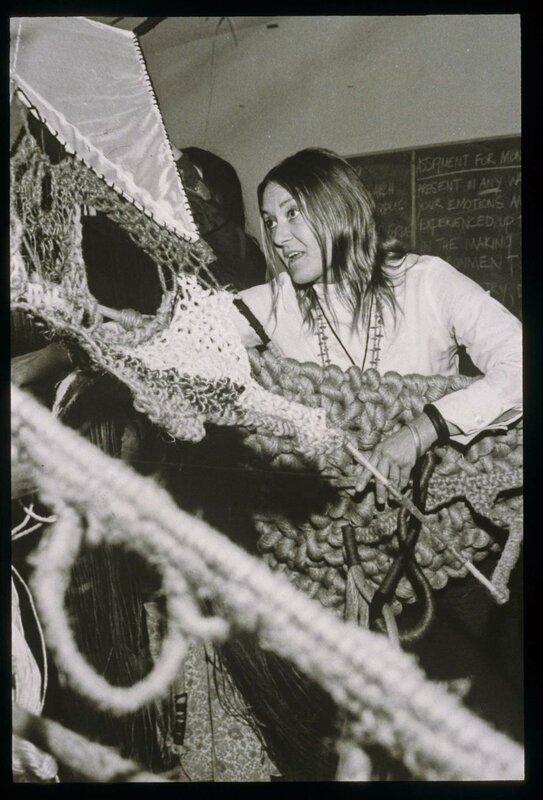 CCA History: Textiles student working in class at the Oakland campus. 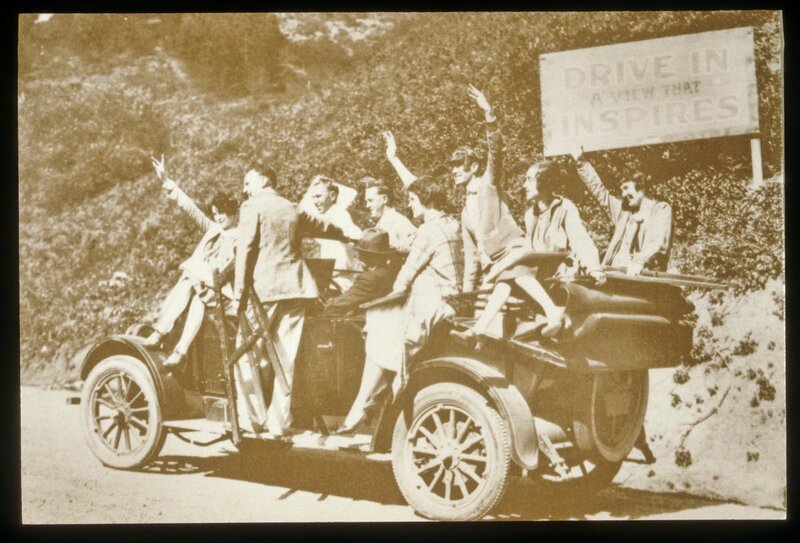 CCA History: Students riding in an automobile around the Oakland campus. The college has changed its name three times in 100 years. 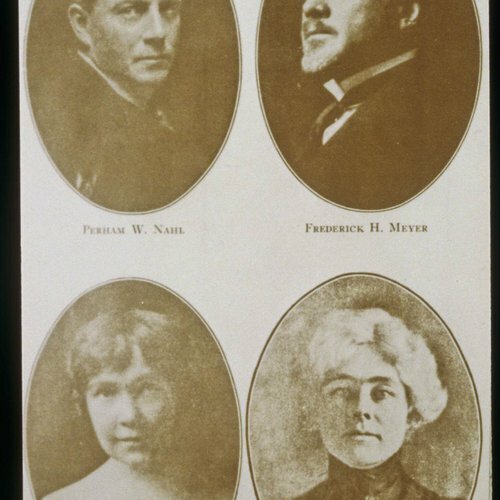 In Berkeley, Meyer founded the School of the California Guild of Arts and Crafts with the ceramicist Rosa Taussig and the artist Perham W. Nahl. Meyer’s wife, Laetitia, was the school secretary. Talented designer Isabelle Percy West joined the faculty that fall. Meyer changed the name after the first year, and research has not turned up a reason. 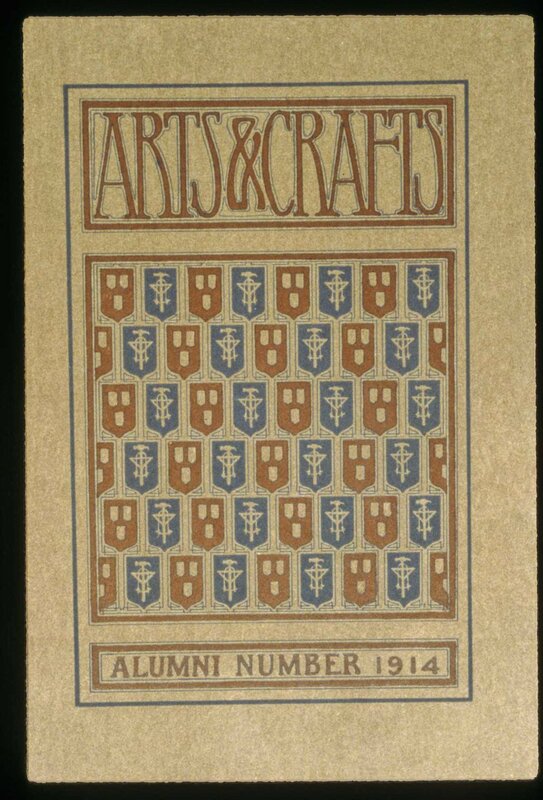 The school was incorporated as a nonprofit institution and granted collegiate status in 1922; however, it was still referred to as California School of Arts and Crafts in printed materials until 1936, when it became California College of Arts and Crafts. Recognizing the breadth of the college's programs, the Board of Trustees voted unanimously to change the name to California College of the Arts. 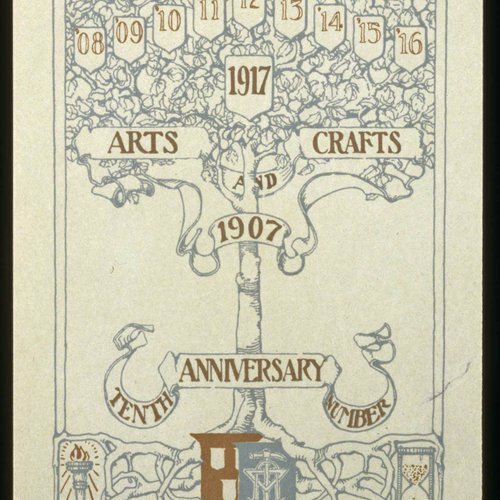 1906: Following the destruction of his home and workshop in the San Francisco earthquake, German-born cabinetmaker and art teacher Frederick H. Meyer speaks at a meeting of the local Arts and Crafts Society about his idea for a new "practical art school." 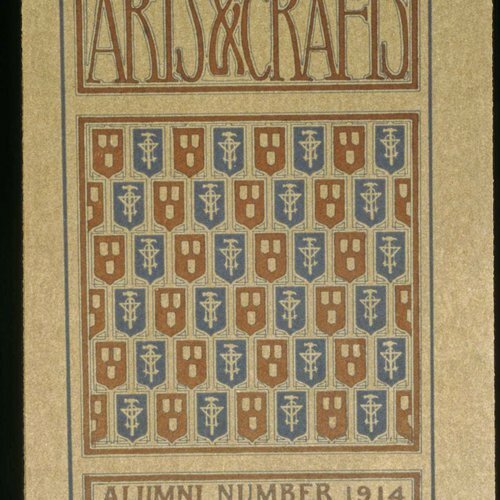 1907: Frederick Meyer establishes the School of the California Guild of Arts and Crafts in the Studio Building on Shattuck Avenue in Berkeley. Initial faculty salaries range from $40 to $60 per month. 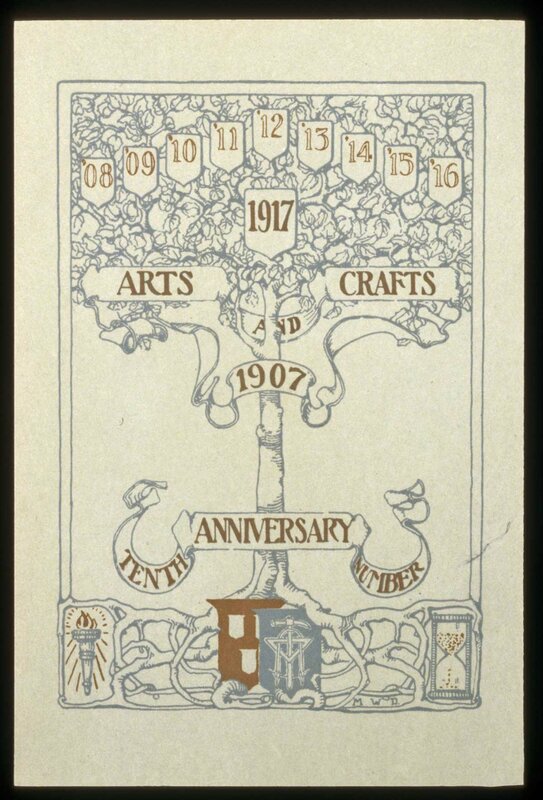 1908: The school is renamed California School of Arts and Crafts and graduates its first class of five students. 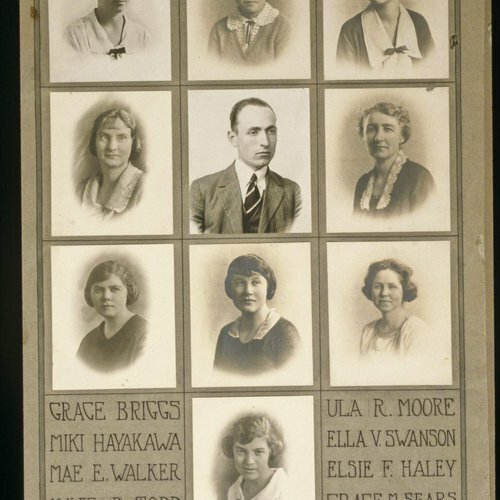 Many of these graduates had been students of Meyer's at the Mark Hopkins Institute of Art in San Francisco. Having outgrown its location, the school moves to 2130 Center Street in Berkeley. 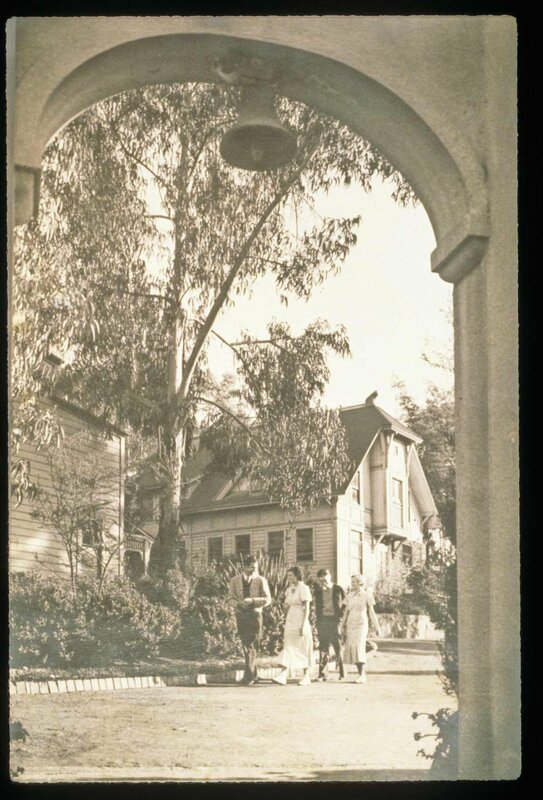 1910: The school moves again to 2119 Allston Way, site of the old Berkeley High School. 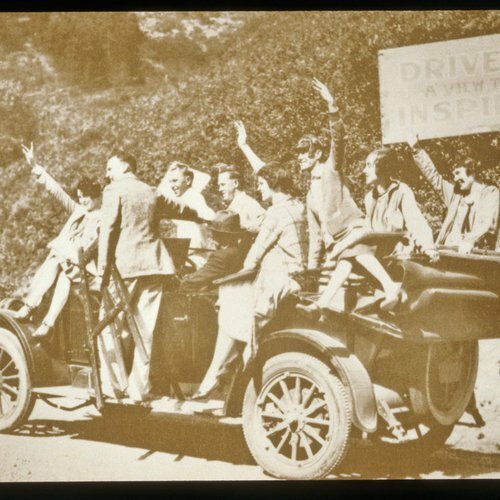 1922: With enrollment increasing following the influx of veterans of World War I, Meyer searches for a permanent home for the college. He purchases the four-acre James Treadwell estate in Oakland for $60,000. For the next four years, Meyer leads a crew of student, faculty, and alumni to transform the rundown estate into a campus. 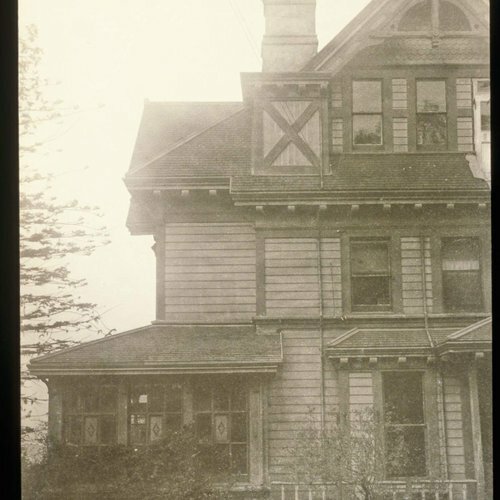 The Meyer family moves into the top floor of the Treadwell mansion (now called Macky Hall). 1926: The school completes its move to the new campus at 5212 Broadway, where it remains today. 1968: Two major buildings on Oakland campus are completed. Founders Hall, honoring Frederick and Laetitia Meyer, Isabelle Percy West, and Perham Nahl, houses the library, media center, and classrooms. Martinez Hall, honoring teacher Xavier Martinez, houses the painting and printmaking programs. 1973: The Noni Eccles Treadwell Ceramic Arts Center opens. 1977: Macky Hall is placed on the National Register of Historic Places. 1985: First Apple computers arrive on campus. 1987: Design and architecture programs move to leased space on 17th Street in San Francisco. 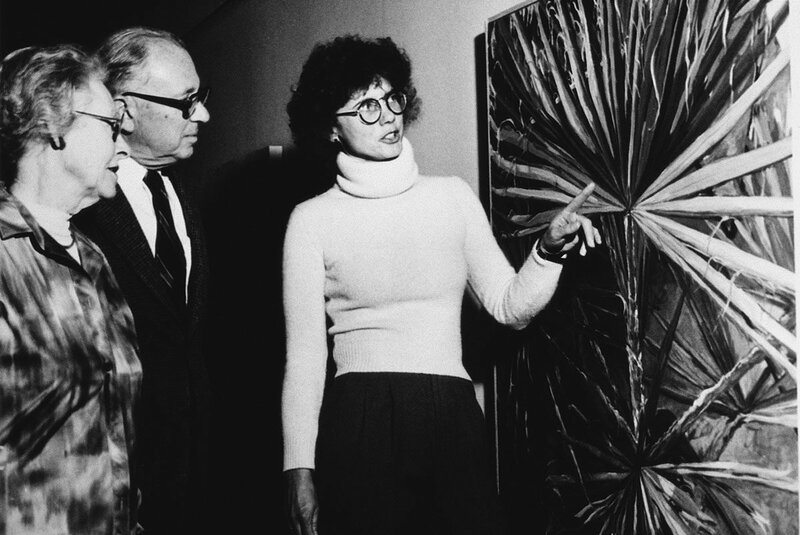 1989: The Oliver Art Center, including the 3,500-square-foot Tecoah Bruce Galleries, opens on the Oakland campus. 1995: The college launches the comprehensive Campaign for CCAC to raise funds for the renovation of a new San Francisco campus and programmatic initiatives. The college purchases a building in lower Potrero Hill to create new permanent San Francisco campus. 1996: First phase of the renovation of the new San Francisco campus completed. Design and architecture programs move to new building. 1998: The college establishes the Institute for Exhibitions and Public Programs, now called CCA Wattis Institute for Contemporary Arts. Noted artist residency program Capp Street Project becomes part of the Institute for Exhibitions and Public Programs. Center for Art and Public Life is established. 1999: The college celebrates the completion of the San Francisco campus with an opening gala. The new 160,000-square-foot campus includes the Logan Galleries, the Tecoah Bruce Galleries, individual studio spaces for graduate students, Simpson Library, Timken Hall, instructional studios and classrooms, and academic and administrative office space. 2001: Institute for Exhibitions and Public Programs is renamed Wattis Institute for Contemporary Arts in honor of philanthropist Phyllis Wattis. 2002: New student housing facility Clifton Hall opens on Oakland campus. 2003: Center for Art and Public Life receives $5 million endowment—largest gift in history of the college. Reflecting the breadth of its programs, the college changes its name to California College of the Arts. New Graduate Center opens on San Francisco campus. 2008: The college completes the $27.5 million Centennial Campaign to fund financial aid endowment, facilities improvements, and academic programs. 2011: The college purchases a two-and-a-half-acre (approximately 102,000 square feet) vacant lot from Greyhound Lines, Inc. in the Mission Bay area of San Francisco for future growth. 2016: The college announces plans to expand its campus in San Francisco and selects Studio Gang to design the new campus. 2018: Blattner Hall opens at 75 Arkansas Street near San Francisco campus. CCA has more student housing than ever before. Construction begins at 188 Hooper, the future residence hall for 500 students. CCA faculty and alumni have been on the forefront of seminal art movement over the last 50 years. We instigated the ceramics revolution of the 1960s, which established that medium as a fine art; pushed forward the photorealist movement of the 1970s; led the Bay Area Figurative art movement; and made prominent work in Conceptual art, minimalist sculpture, painting, film, and contemporary graphic and product design. Today’s CCA faculty are influential scholars and expert practitioners in their fields, helping CCA become one of the best art schools in the U.S. today. The college draws top faculty from the region’s flourishing professional communities in architecture, business, design, writing, and the arts. Many of our faculty members work for leading Bay Area companies such as Apple, Gensler, Google, LucasArts, and Pixar, and many of them are principals of their own firms in architecture, consulting, design, animation, or film. The list of their awards, accolades, and publications is staggering. They have won Academy Awards, Fulbright fellowships, the Rome Prize, the MacArthur Award, Emmys, Guggenheim fellowships, AIGA medals, and more. CCA is an equal-opportunity employer. Our greatest asset is our talented community that collaborates and innovates from our San Francisco Bay Area campuses. CCA is ideally positioned so all who work here can uphold social and environmental responsibility through creative practice. Join top-notch faculty and one of the most diverse faculty cohorts of all AICAD schools. CCA’s 102 full-time and 398 part-time faculty are accomplished educators, academics, practitioners, and researchers whose breadth and depth of expertise inspires students to take creative risks in the pursuit of purposeful work. We also have full- and part-time opportunities available for staff, as well as work-study and other campus jobs for students so they can earn financial support and job skills while attending art school in San Francisco.